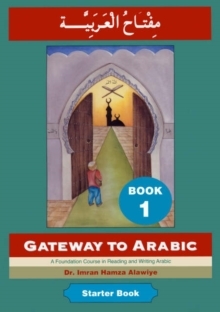 "Gateway to Arabic Book One", with its wealth of practice materials, teaches the skills necessary for reading and writing the Arabic language. It covers the complete Arabic alphabet in all its forms as well as the various short and long vowel sounds. It offers plenty of opportunity for handwriting practice through extensive copying exercises. By the end of this book, the learner will have covered the skills needed to read any vocalised Arabic text.